The Village Hall, located in an attractive setting on the Sturminster side of the village, provides a fine location for meetings and events. It is used for various village functions and being combined with the cricket club, on match days in summer, forms a well-equipped pavilion. 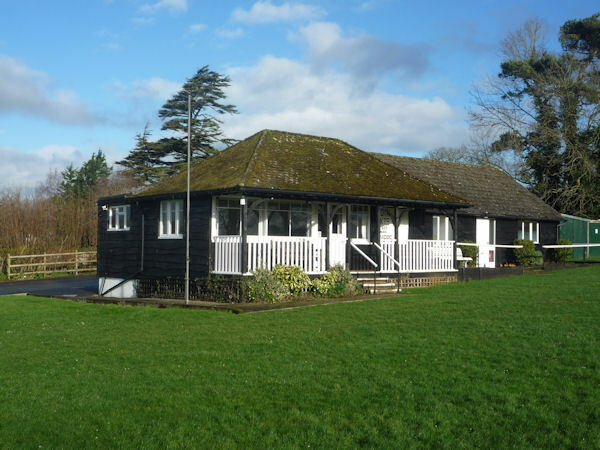 It is the clubhouse for Sturminster and Hinton Cricket Club. They play on Saturdays in the Dorset County Division 4 and the 2018 fixture list is shown below. It has a modern interior and the main room with an approximate area of 35 sq. metres can seat up to 45 (theatre style). Tables and chairs are available and there are male & female toilets. It has two changing rooms and a shower room. Easy wheelchair access exists as well as a disabled toilet. Electric radiators provide heating and a small kitchen equipped with glasses, china, cutlery and a refrigerator adjoins it. Ample car parking is available for up to 20 vehicles on a paved area and the windows look across the cricket field and to the beech avenue beyond. The original building was constructed for just the cricket club between the wars. In 2003 it was felt that a modern fully equipped village hall would benefit the village and over a period of 7 months major improvement works were carried out by a team led by Chris Hardiman and Mary Andrews who at the time was Chairman of the Parish Council. Funding was obtained from various sources and the work was largely carried out to modern standards by a team of DIY villagers. It included an increase in area, provision of modern toilets, creation of a kitchen and new water and electrical systems as well as total redecoration. It is available for hire during the day and evenings at a cost based on £5 00 per hour, plus a coin meter for any electricity used. To arrange a booking please contact Chris Andrews, Telephone No. 01258 473107. Email address c.andrews989@btinternet.com. The hire agreement booking form (click here for a copy) will also need to be completed and returned. In the past it has been used for meetings, children’s parties, small wedding receptions, exhibitions, illustrated talks, study groups and handicraft clubs. In 2012, a stone seat was installed in a corner of the cricket field to commemorate the Queen’s Diamond Jubilee. It was funded by profits from the previous year’s Village Show. On 3rd June 2012 it was inaugurated by Mrs Valerie Pitt-Rivers, then Lord Lieutenant of Dorset, with a leading part played by the village’s oldest resident Mrs Hilda Douch aged 96. For photograph see Gallery. Village Show 2019 Sunday 1st September To raise funds for the maintenance and running cost of the Village Hal. Starting at 12.30 pm with a Picnic (weather permitting) in the Village Hall grounds.. The Village Hall doors will be open during Saturday afternoon and from 8.30 a.m. on Sunday to set up and display Class Entries. Doors will be closed at 10.am. for judging. The show will be similar to the last Village Show held in 2014 with a Flower and Garden Produce Show plus some additions – these include new classes for garden and homemade produce, art and photographic classes for all ages and a Dog Scurry, Pony Rides and side shows. Class Schedules will be hand delivered to everyone in the village during May. Chris Hardiman, Chairman Village Hall Committee.